It can be any other photo as well, I chose to turn the lovely actress Scarlett Johansson into a drawing. 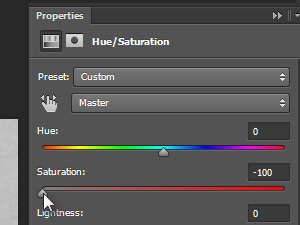 Click Create a new Hue/Saturation adjustment layer (see picture). 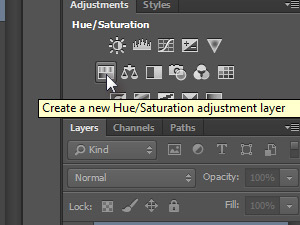 If you can't find the Adjustments panel click Window and choose Adjustments. 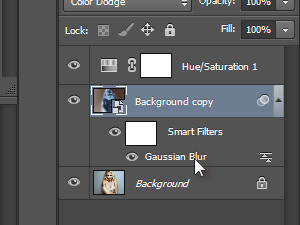 In the Hue/Saturation windows set Saturation to -100. 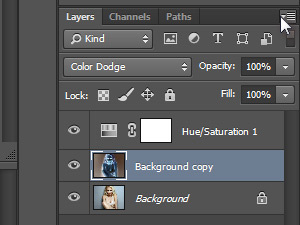 We just used an adjustment layer to turn the photo black and white. 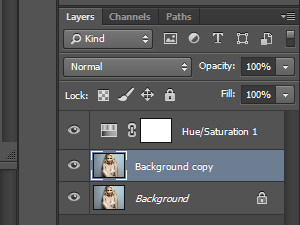 Select the original layer - Background layer (see picture). 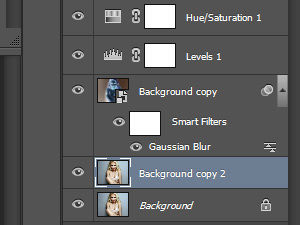 Press Ctrl (Command in MacOS) and J, to duplicate the layer. In the menu click Image, Adjustments and choose Invert. 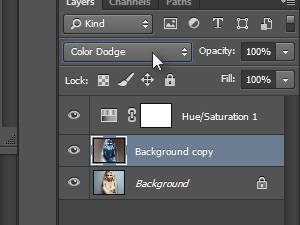 Set the duplicated layer's blending mode to Color Dodge. Don't worry if the document looks a little bland at the moment. 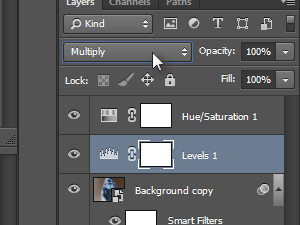 In the Layers palette click the options button on the right (see picture) and choose Convert to Smart Object. 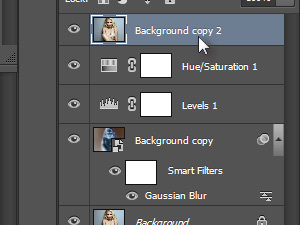 Duplicate layer just got a little icon in its thumbnail which means it is now a Smart Object. 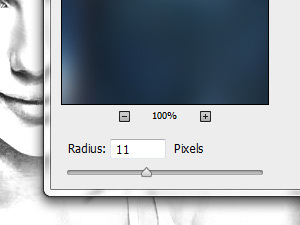 Set the Radius to about 11 and choose OK. In step 8 we turned a layer into a Smart Object. This come in really handy if you want to adjust the applied filters at any time you want. 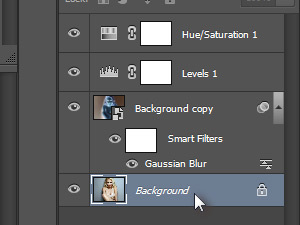 Simply double-click the filter if you want to readjust it (see picture). 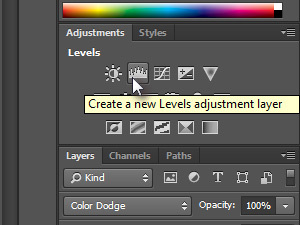 Click Create a new Levels adjustment layer. 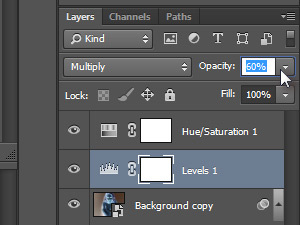 ... and set its Opacity to about 60% (see picture). 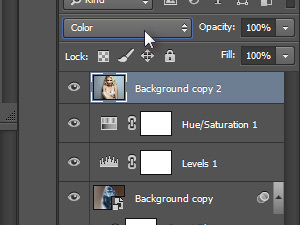 Select the original Background layer. 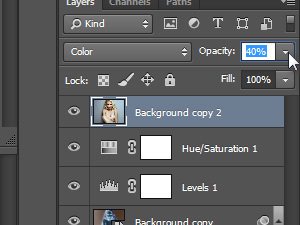 Now drag and drop the duplicated layer to the very top of the layers (see picture). 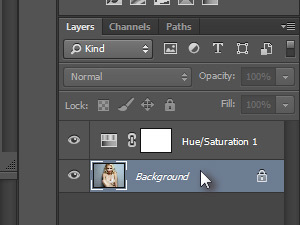 Set the layer's blending mode to Color (see picture). 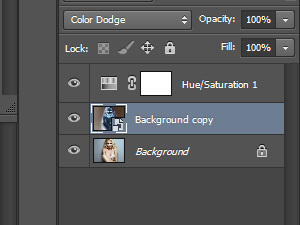 Set the Opacity to about 40% (see picture). This is how the whole image looks like.